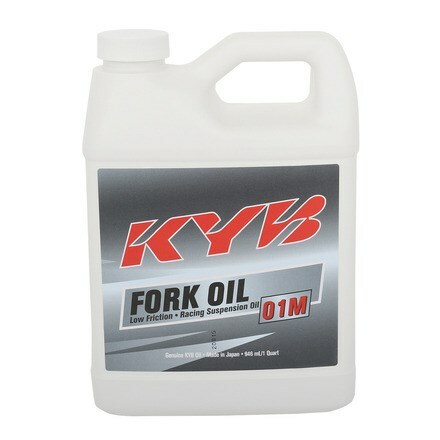 Original Kayaba high-performance suspension oil. Kayaba oil delivers unsurpassed performance, consistent damping performance, special frictional properties reduce �stiction�, maximum wear protection and extended seal life. Designed for SSS, AOS and conventional cartridge forks. Engineered to provide superior lubricity, extended seal life, and to protect internal parts from wear. Designed to be the most consistent, durable, longest-lasting oil.